More Americans were killed by US weapons testing than there were deaths in Hiroshima and Nagasaki based on a recent study using National Cancer Institute statistics. Nuclear enthusiasts repeat endlessly that nuclear weapons have kept the peace. They should complete their sentence and admit it’s the peace of the dead. A new study by University of Arizona economist Keith Meyers concludes that radiation-contaminated milk and food (poisoned by above-ground nuclear bomb testing) caused between 340,000 and 690,000 deaths in the United States between 1951 and 1973. Using a newly designed method to trace the radiation in the fallout from the bomb tests, Meyers estimated the radiation doses given to unsuspecting citizens around the country. With a National Cancer Institute (NCI) database produced during its 14-year-long study of fallout published in 1997, “Meyers was able to track the amount of I-131[radioactive iodine] found in local milk and compare this with the number and nature of deaths on a county level,” Matthew Davis reports for BigThink online Dec. 14. 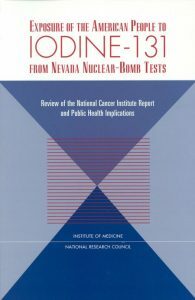 The 1997 NCI report concluded that radioactive iodine in the fallout from nuclear bomb tests gave thyroid cancer to as many as 75,000 people in the US. Ten percent of the total number of thyroid cancers was expected to be fatal cancers, according the NCI. Where’d the cancer come from? A spectacular amount of iodine-131 was released by the detonations: “150 million curies of iodine-131, mainly in the years 1952, 1953, 1955, and 1957,” the NCI reported. Due to the high-altitude spread of radioactive materials from the open-air bomb tests in Nevada, deadly iodine-131 was dispersed to every county in the United States, according to the two-volume NCI study. For most people, the NCI noted, “The major exposure route was the ingestion of cows’ milk contaminated as the result of iodine-131 deposited on pasture grasses.” Other exposures came from eating contaminated leafy vegetables, goats’ milk, cottage cheese and eggs. The way the radio-poisons got into US milk and then into sister Sally, cousin Billy, and pregnant mommy, etc., etc., was easy to predict and to verify. Bomb test fallout came down to earth in rainfall, contaminating grasslands and farms nationwide. Cows and goats ate the grass and produced iodine-131 tainted “hot” milk. 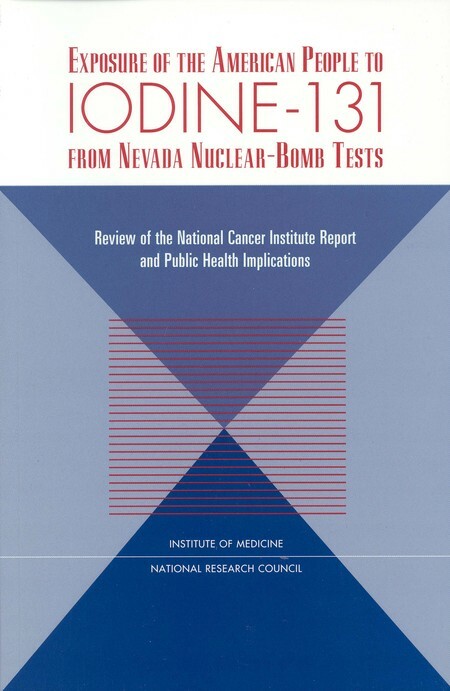 The 1997 NCI study focused on thyroid cancers caused by iodine-131 in bomb test fallout. Meyers’ new study looks at over-all death rates which increased significantly in counties that were hard-hit by fallout. With so much discussion of another “arms race” with the remnant of the former USSR called Russia, it’s worth recalling that there were no winners of the Cold War with the Soviets, and that there were only losers including tens or hundreds of thousands of fatalities in our own country. About 16,000 US citizens were used in the government’s human radiation experiments that spanned decades. (“Count of Subjects in Radiation Experiments Is Raised to 16,000”, New York Times, Aug. 20, 1995) Our own Nazi-like experiments abused vulnerable groups including pregnant women, prison inmates, soldiers, and mentally ill children. 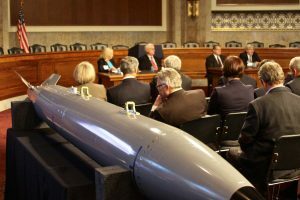 The United States spent at least $4 trillion on nuclear weapons between 1945 and 1995, another trillion or so since then, and yet most of the 70,000 warheads that were produced have been eliminated. Those trillions could have saved millions of lives if they’d been devoted to medical education, health care programs and preventive medicine. At least with this sort of defense, the government wouldn’t be killing the people it’s supposed to defend. The department ignored tens of thousands of Minnesotans who asked it to protect people and the environment from PolyMet’s proposed mine. 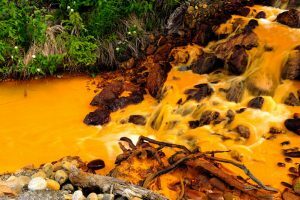 The permits for PolyMet’s proposed mine do not protect people downstream from the pollution the mine would create. The department arbitrarily rejected less risky alternatives for managing mine waste. The permits: allow PolyMet to threaten water downstream for hundreds of years after mining ends; fail to address concerns of engineers who fear the mine’s proposed waste dam is dangerous; and fail to protect Minnesota taxpayers from being stuck with up to $1 billion in cleanup costs. “There is a myth in Minnesota that we have tough regulators. It’s just the opposite,” stated Paula Maccabee, advocacy director and counsel for WaterLegacy. “The DNR has granted PolyMet a permit to mine admitting that its ‘design and operational details’ are not ‘firmly in place.’ At the very least, with Minnesota’s first proposed sulfide mine, we should demand that no permits be issued unless and until PolyMet shows us — and an unbiased administrative judge — that they know what they’re doing.” WaterLegacy in 2015 petitioned the US EPA urging suspension of DNR and Minnesota Pollution Control Agency (MPCA) oversight authority, arguing that mining interests have undue influence in setting and enforcing water quality standards, and that the state legislature has deprived the MPCA of legal authority to implement the Clean Water Act. The petition is pending. — High resolution video of the PolyMet mine and plant sites are available for use with proper credit, to download. 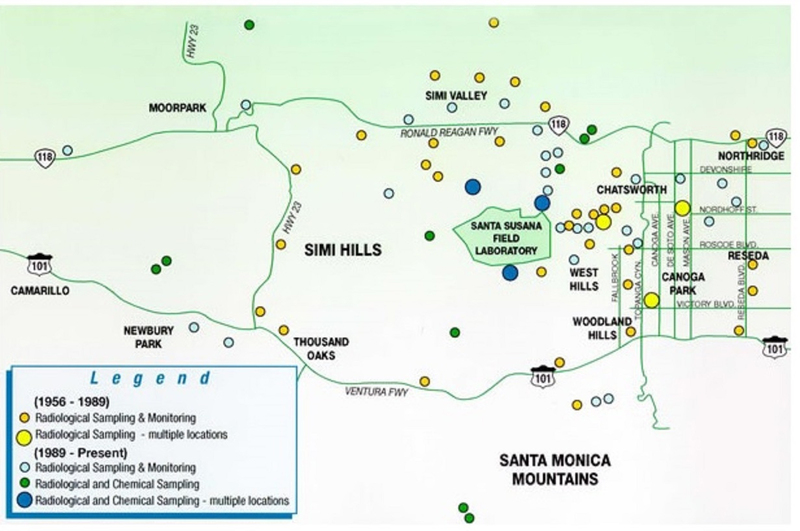 Regional map showing Santa Susana Field Lab and the surrounding area. 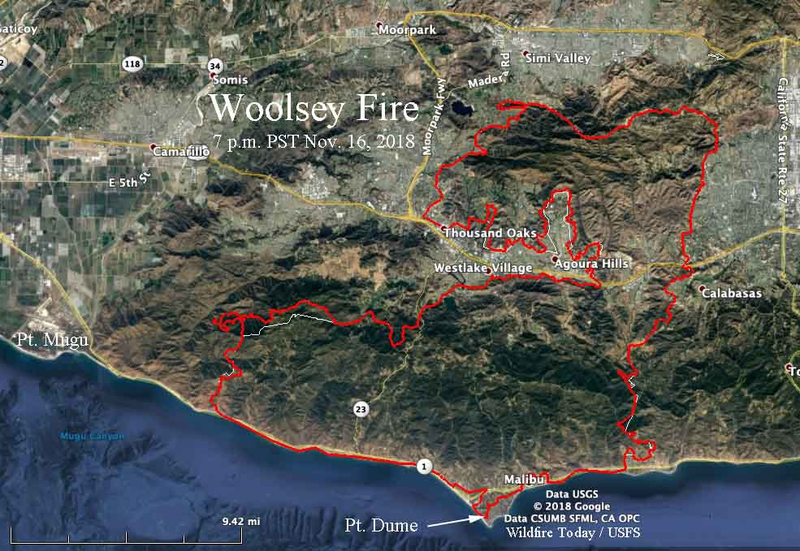 Aerial map showing the areas affected by the Woolsey Fire. 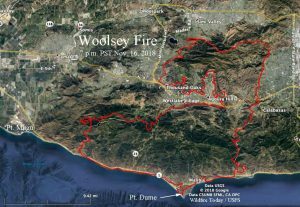 Santa Susana Field Lab is located northeast of Thousand Oaks inside the red line denoting the edge of the fire on November 16. 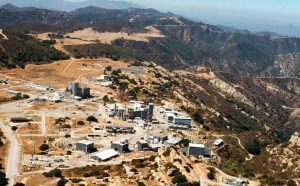 In my Nov. 16 column, I reported on potential radiation risks posed by California’s Woolsey wildfire having burned over parts or all of the Santa Susana Field Laboratory, south of Simi Valley, Calif., 30 miles outside Los Angeles, site of at least four partial or total nuclear reactor meltdowns. The field laboratory operated 10 experimental nuclear reactors and conducted rocket engine tests. In his 2014 book Atomic Accidents, researcher James Mahaffey writes, “The cores in four experimental reactors on site … melted.” Reactor core melts always result in the release of large amounts of radioactive gases and particles. Clean up of the deeply contaminated site has not been conducted in spite of a 2010 agreement. In the 11/16 column I noted that Dr. Arjun Makhijani, President of the Institute for Energy & Environmental Research, estimated that the partial meltdown of the lab’s Sodium Reactor Experiment (SRE) caused “the third largest release of iodine-131 in the history of nuclear power,” according to Gar Smith in his 2012 book Nuclear Roulette. But Makhijani was speaking in 2006, so now of course the SRE meltdown counts as the fourth largest radio-iodine release—after the triple meltdowns at Fukushima in Japan in 2011, Chernobyl in Ukraine in 1986, and Windscale in England in 1957. 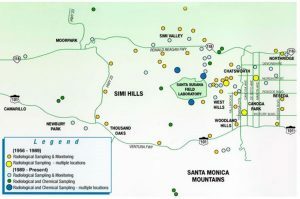 Santa Susana’s operators caused the destruction of the liquid sodium-cooled SRE on July 12, 1959—“showering the downwind hills and meadows of the 2,850-acre site with a fog of chromium and radioactive isotopes, including iodine-131,” according to Nuclear Roulette. It was these hills and meadows that were burned so completely by the Woolsey wildfire. “It [the fog of isotopes] likely spread to nearby communities such as Simi Valley, Chatsworth and Canoga Park,” according to Southern Calif. Public Radio’s Elina Shatkin (“What Happened at the Santa Susana Nuclear Site During the Woolsey Fire?” Nov. 13.) Makhijani calculated that fallout from the meltdown contained “80 to 100 times the amount of iodine-131 released at Three Mile Island” [in Harrisburg, Penn., in 1979], Smith reports in Nuclear Roulette. Canoga Park Senior High School is one of four Red Cross evacuation centers for the Woolsey Fire. During the two weeks after the partial meltdown of the SRE, workers tried to repair it. “When they couldn’t, they were ordered to open the reactor’s large door, releasing radiation into the air,” Shatkin reported for public radio. With 10 experimental reactors, radiation routinely released to the air, years of accidents, and four core meltdowns, the “downwind hills and meadows” can be considered permanently compromised with cancer-causing toxins. Dan Hirsch, president of Committee to Bridge the Gap, a nuclear policy organization told public radio that Santa Susana’s soil has, “a mix of radioactive materials like plutonium, strontium-90 and cesium-137” and perhaps 100 toxic chemicals “such as PCBs, dioxins, heavy metals like mercury and chromium-6 and volatile organic compounds like PCE.” In 2012, the US EPA reported that its soil tests found radioactive cesium-137 at 9,328 times ordinary background levels. 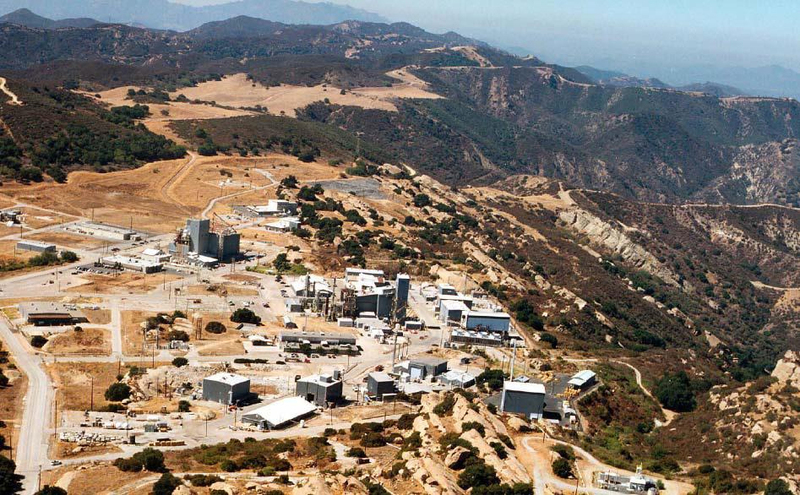 Citizens living in the vicinity of Santa Susana have become harshly critical of the site’s early operators—Boeing, Atomic International and Rocketdyne—who for years burned toxic and radioactive wastes in open pits, endangering all the downwinders. In 2005, Boeing paid $30 million to compensate nearby residents for early mortalities and a range of rare diseases.